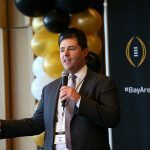 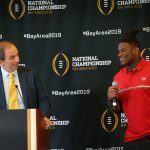 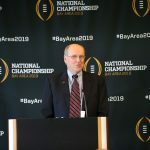 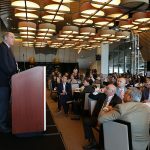 The Bay Area Host Committee for the 2019 College Football Playoff National Championship hosted a luncheon at Levi’s Stadium today to officially start the countdown to Monday, January 7th, 2019, when the college football world will descend on Silicon Valley to crown its champion for the 2018-19 season. 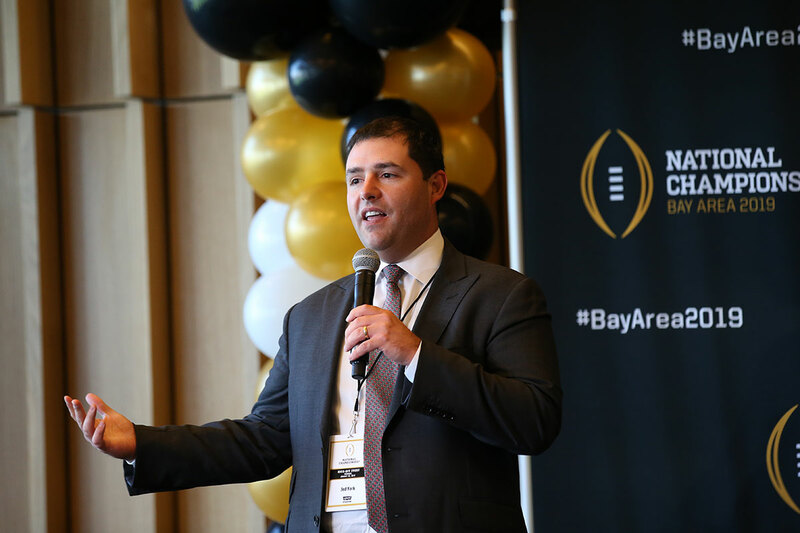 Joined by executives from the College Football Playoff, the Bay Area Host Committee used the event to introduce its leadership team, launch its advisory board, and unveil its official logo and website to more than 100 local civic and business leaders. 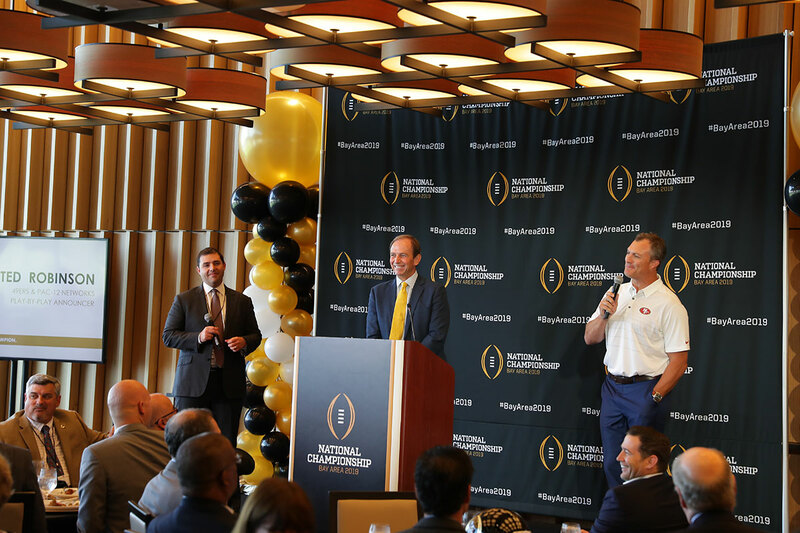 The luncheon was scheduled to coincide with last Saturday, August 26th, marking 500 days until kickoff of the 2019 College Football Playoff National Championship in Santa Clara as well as the start of the 2017 college football season. 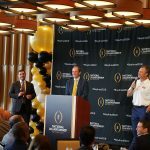 The 2018 College Football Playoff National Championship is in Atlanta next January, but today’s announcements demonstrate that planning for 2019 is well underway. 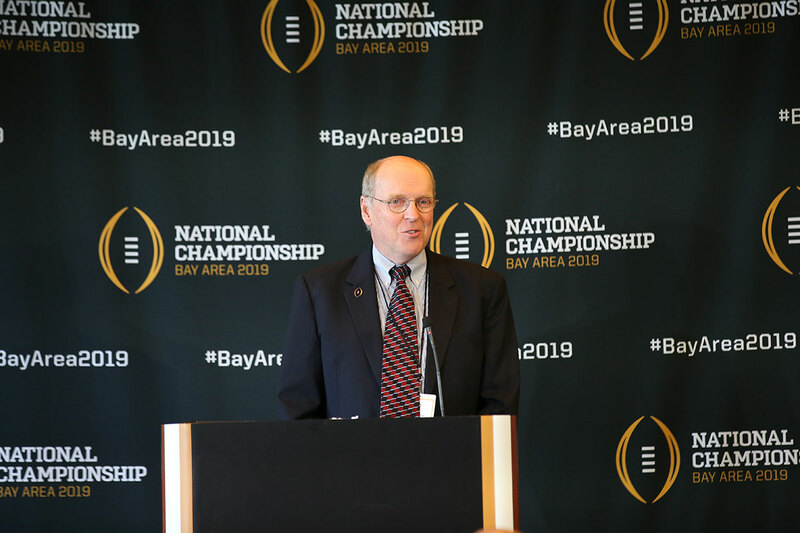 In addition to unveiling their official logo, the Bay Area Host Committee announced the launch of its official website at www.BayArea2019.com, its official hashtag of #BayArea2019, and its official social media accounts: BayArea2019 on Facebook and @BayArea_2019 on Twitter and Instagram. 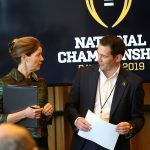 As the pinnacle of college football, the College Football Playoff National Championship is one of the biggest events in college sports, with an average attendance of nearly 79,000 fans in the first three years. 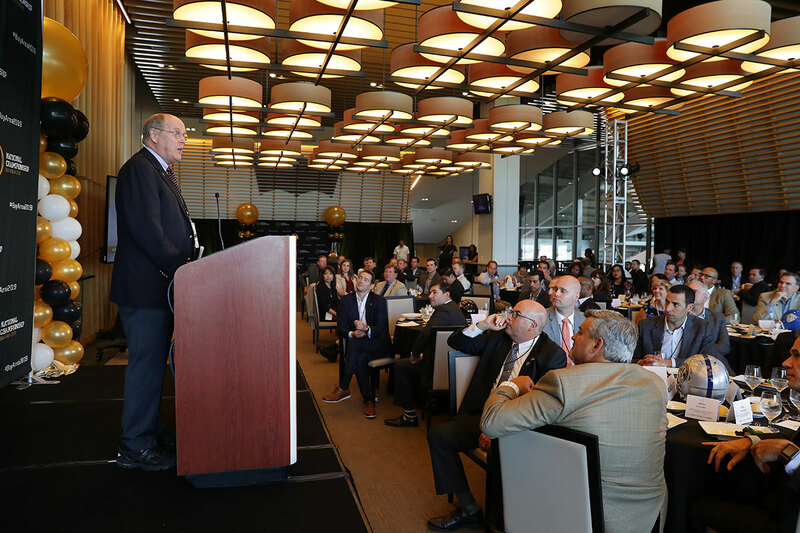 The large-scale event is expected to provide a significant economic impact to the South Bay, with the Dallas area netting $308 million in 2015 followed by Phoenix’s $274 million in 2016. 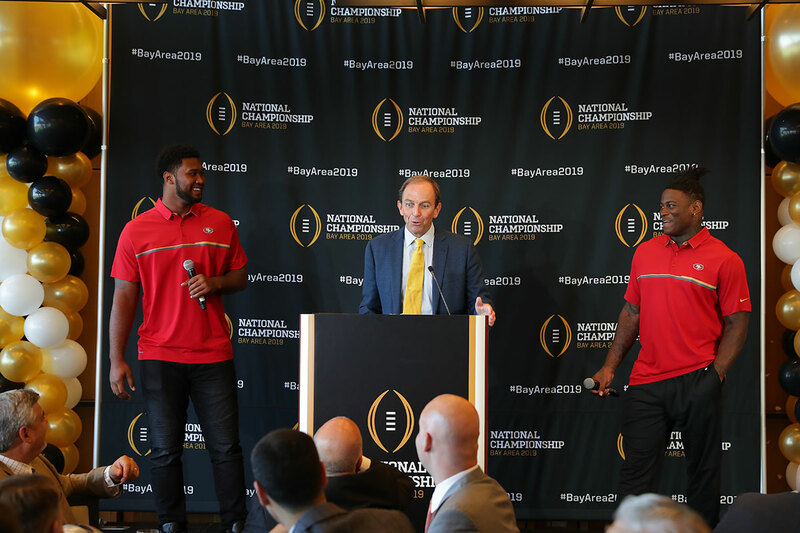 The College Football Playoff was represented at today’s event by COO Michael Kelly, Executive Director Bill Hancock, and Selection Committee Member Tyrone Willingham. 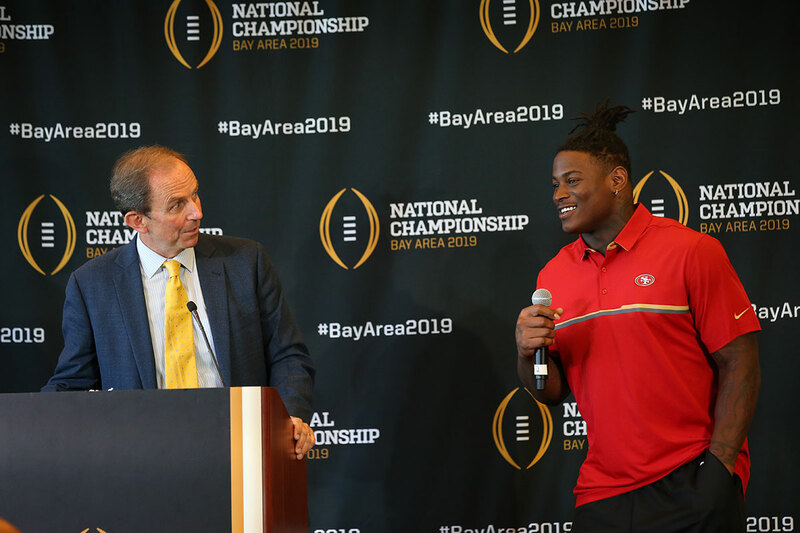 The Bay Area Host Committee also announced the addition of College and Pro Football Hall of Famer Ronnie Lott and former U.S. Secretary of State Condoleeza Rice as the initial members of its advisory committee. 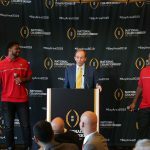 Finally, the committee announced that it is kicking off its participation in the College Football Playoff Foundation’s Extra Yard for Teachers program with a one-million-dollar pledge to help serve the foundation’s mission to elevate the teaching profession by inspiring and empowering quality teachers. 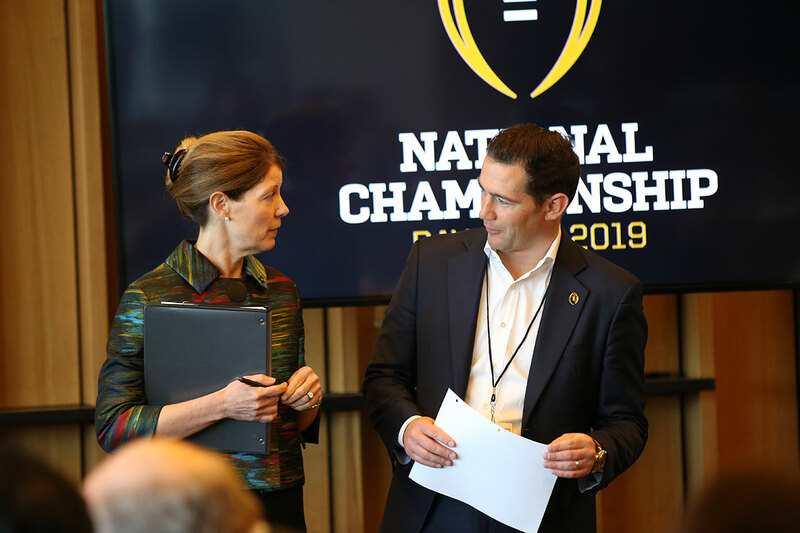 As part of that commitment, the host committee will be hosting the fourth annual Extra Yard For Teachers Summit in the days leading up to the 2019 College Football Playoff National Championship.